Car insurance for provisional drivers, or learner driver insurance, can be far more expensive than any standard car insurance policy. But why should anyone consider learner driver insurance in the first place? Our guide explains the rules and guidelines around obtaining and having a provisional licence, your options for learning to drive and how to bring down the costs of insurance for learner drivers. I have a provisional licence, can I drive now? If you have a provisional licence, then you can start driving, but there are obviously a few big restrictions in place. Firstly, you must be 17 if you want to drive a car, 16 for a moped or light quad bike. You can also drive a car when you are 16, but this only for people who have the enhanced rate of the mobility component of the Personal Independent Payment (PIP), which offers support to people with long-term ill-health or disability. Secondly, you can only get behind the wheel if you are accompanied by a full driving licence holder aged over 21, and who has had their full licence for at least 3 years. You must have 'L' plates on the front and back of the vehicle to show that you are a learner driver. Learner drivers are not allowed to drive on the motorway. Lastly, all drivers must be insured. But is provisional driver insurance a must? If you only plan to drive accompanied by a professional driving instructor, then you don't need to worry about it. However, if you want to learn in your parents' or a friend's car, or even your own car, you'll either need to be a named driver on their policy or look into temporary car insurance for learner drivers, which will cover you until you pass your test. What is provisional driver car insurance? Car insurance for provisional drivers is specifically designed for people who have not yet qualified for their full driving licence. This allows holders of a government-issued provisional driving licence to drive on the road legally. It's important to note that you only need car insurance if you plan to drive in any car other than with a paid professional driving instructor. Provisional driver insurance providers are more likely to take on learner drivers, whereas standard car insurance providers might be more reluctant to insure someone who hasn't yet qualified for their full driving licence. There are a few options — not just provisional drivers insurance — available to learner drivers who want to get behind the wheel. Continue reading to learn more about the alternatives and the cheapest ways of learning to drive. What are the cheapest ways of learning to drive? Anyone who has learnt to drive or is currently learning to drive will know that it is a rather expensive venture. There's no way of getting around the costs, but there are some things you can do to help bring the price down — and which ultimately comes down to the best way for you to pass your driving test. Paying a professional driving instructor for regular lessons cuts out the need for learner driver insurance, as the lesson fees cover the cost of them being insured on your behalf. This does mean that the cost of getting professional lessons can add up quickly, with many instructors charging between £22 and £35 per hour. There is also the risk that if you don't keep up your driving lessons regularly, you'll fall behind in some of the things you've learnt. And you don't want to start paying again to catch up with what you already learnt in the past. For paid lessons to work, it's best to plan a few months in advance where you know you'll be available to take all of your lessons. If you have family or friends willing to accompany you in their car on a regular basis, then it could be worth asking to be added as a named driver on their insurance policy. However, the driver's insurance provider is likely to increase their premiums as well as possibly charge them an admin fee. And being the named driver means you can't be the main user of the car, which is known as 'fronting' and is illegal. The main policyholder's no claims bonus could also be affected if the learner driver is involved in an accident in their car. Insurers are more likely to increase premiums for an inexperienced driver, especially one who hasn't received their full driving licence. 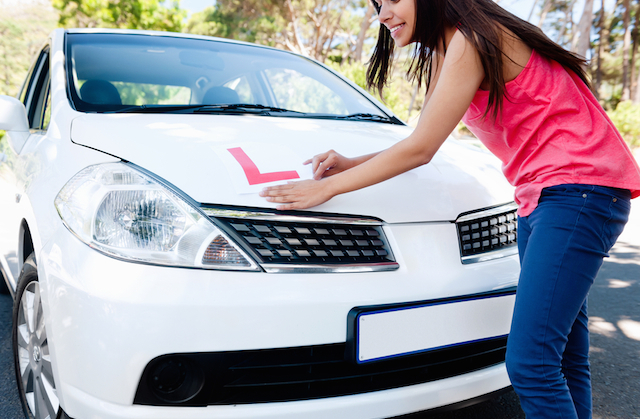 If you intend to drive regularly then specialist car insurance for learner drivers might be the best option, as the providers specialise in insuring drivers in the same situation as you. Many policies will let you take out provisional driver insurance for any period between 1 and 140 days, which should generally be cheaper than an annual policy on someone else's insurance. That way you can also take it out for the length of time you need. Ultimately it's worth shopping around before committing to any one particular way of learning to drive. If you don't have a provisional driving licence yet you'll need to apply for one from the Driving and Vehicle Licensing Agency (DVLA). You can apply for a provisional licence three months before your 16th birthday, but you won't be able to get behind the wheel until you are 17. If you have applied for or already have the mobility component of the Personal Independence Payment (PIP), designed to help with some of the costs of long-term ill-health or disability, then you can start driving at the age of 16. There's also a fee for processing the application, which costs around £50. You will then receive a photo ID card (usually within a week of applying), which will also allow you to take the driving theory test and the practical test, once you're ready for them. Once you do get behind the wheel you will need to be accompanied by someone over 21 who has had their full licence for at least 3 years.